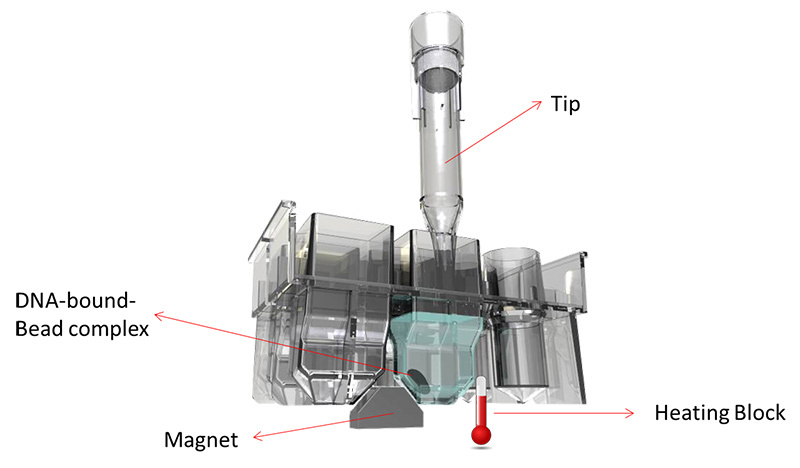 Zinexts Life Science developed and patented its Polygon Reaction Chamber® that creates a better disturbance of liquids while mixing, enabling the magnetic bead separation and washing steps more efficient. A unique double bevelling design allows the heating and magnetic separation being applied in only one reaction chamber. Working with the circulating MagPurix® pipetting procedure generate super-strong turbulence in wash steps, that deliver a better and higher efficient purification performance rather than other products.